David J. Guay, 89, passed away on Wednesday, August 22, 2018 at his home in Naples, Florida. David is survived by his devoted wife of 30 years, Sharon (VanHooser) Guay. He was a loving father to his daughter, Deborah A. Imondi of Johnston, RI, and his sons, David T. Guay and his wife Judy, and Dennis A. Guay and his partner Linda Covill, both of Seekonk, MA. He had three granddaughters, Rebecca, Kaleigh and Brenna; and one great-granddaughter, Abigail. He also had a very special friend of the family, Carol Rooney, who provided him with an endless supply of delicious wine biscuits. From 1946 to 1948, David honorably served in the U.S. Navy. Previously residing in Smithfield, RI, Dave retired from New England Telephone as a Network Manager in 1983, after a distinguished 35 year career. In retirement, he worked for West Coast Windows in Naples as a fabricator and installer. 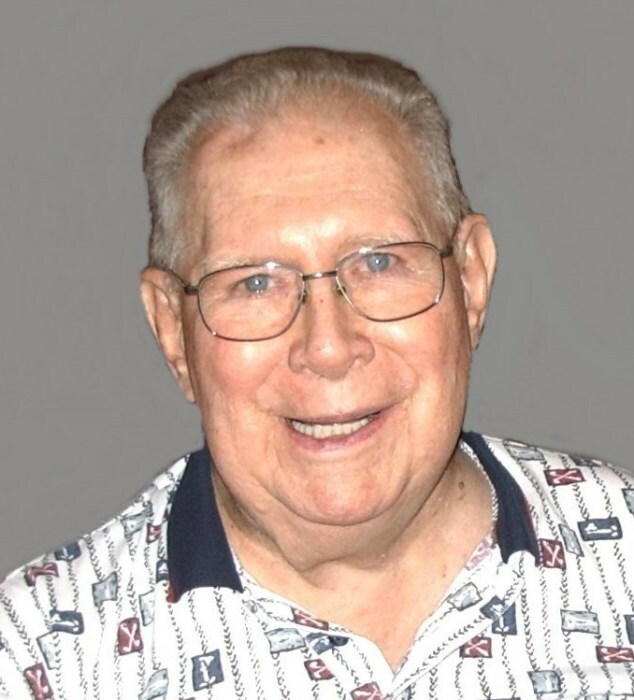 He was an active member of the Telephone Pioneers of Florida and a parishioner of St. Finbarr’s Catholic Church in Naples. David was predeceased in death by his first wife, Doris R. (Aldrich) Guay; his parents, Joseph D. and Elizabeth (Gibbons) Guay; his brother, William L. Guay; and his beloved Yorkie “Gismo”. His funeral will be held Tuesday, August 28, 2018 at 9 AM from the MACERONI FUNERAL HOME, 1381 Smith St., North Providence, followed by a Mass of Christian Burial at 10 AM in St. Robert Bellarmine Church, 1804 Atwood Avenue, Johnston. Visitation Monday 4 PM – 7 PM. Burial will be in St. Ann Cemetery, Cranston. In lieu of flowers, donations in his memory may be made to: Vitas Hospice at www.vitascommunityconnection.org.